IPL 2019, RR vs MI: Captaincy brings out best in Steve Smith, but is leadership change a little too late for Royals? Uttar Pradesh polls 2017: Is Akhilesh Yadav or Mulayam Singh running the show? The riddle of William Wordsworth’s The Child is Father of the Man continues to remain mysterious, even more so in Uttar Pradesh where you just don’t know who is in command – the son (Akhilesh Yadav) or the father (Mulayam Singh)? Apparently, the government in Lucknow is run by Akhilesh Yadav while almost everything that’s associated with the ruling Samajwadi Party is controlled indisputably by Mulayam Singh. The dividing line between the party and the government, however, gets blurred with the existence of too many ‘wheels within wheels’ in both the entities that, more often than not, get active causing confusion in the corridors of power. And you are bound to ask yet again: who the hell runs the show here? Otherwise, how on earth can it be possible for a minister to successfully lobby for a tie-up between the ruling party and a mafia-infested political outfit without the prior knowledge and approval of the chief minister? 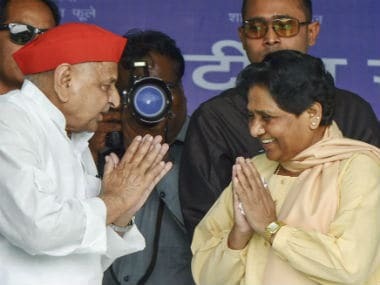 Like it or not, this is precisely what had happened in the case of the Samajwadi Party-Quami Ekta Dal merger on Tuesday. The chief minister didn’t know that despite his well publicised aversion to the likes of DP Yadav and Mukhtar Ansari, his ministers including Balram Yadav and uncle Shivpal Singh Yadav would strike a deal with the QED. He was kept in the dark. And by the time he came to know about the deal, it was perhaps too late. In anger, he sacked from his council of ministers Balram Yadav who had played a key role in the merger between the two parties. But Shivpal Yadav, who presided over the merger, remained unscathed. Who can, in the current scenario, even dare to touch Mulayam Singh’s brother? The chief minister can, at best, be a passive onlooker under the circumstances. 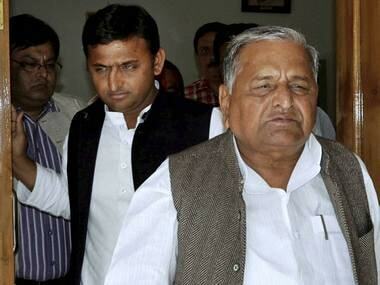 The deal was concluded with much fanfare at the headquarters of the Samajwadi Party in Lucknow. A beaming Afzal Ansari, president of the QED, said: “We are all secular parties and we shall see to it that the secular votes do not get divided in the ensuing election”. And on his part, Shivpal Singh Yadav, welcomed with both arms what he described as ‘homecoming’ of the QED. Founded by Mukhtar Ansari, the QED has been an eastern UP based political party. Its clout over the Muslim masses is known to all. The party, which had put up its candidates in 43 constituencies in 2012 elections, has two MLAs – Mukhtar Ansari and Sibgatullah Ansari. It is significant that Mukhtar is still in jail because of his alleged involvement in the murder of BJP MLA, Krishnanand Rai. Those who observe how things move in the SP from close quarters know it for sure that the chief minister, who loves to be seen to be following the development agenda in the state, often looks dwarfed before the ‘seniors’ such as Shivpal Singh and Azam Khan. The otherwise invisible extended arm of Mulayam Singh is omnipresent in the corridors of power. You can feel it. And everyone knows about it. But, to be fair to Mulayam, you can’t overly criticise the SP for its moves to strike potent alliances with elections less than a year away. The party is trying to cobble up an ‘electoral understanding’ with Ajit Singh in the Jat-Muslim belt in Western UP. And in the east, it has already struck a deal with the QED to ensure that its minority vote-bank remains intact. After all, everything is fair in love, war and politics. Not a thing about Maurya’s next moves is known. 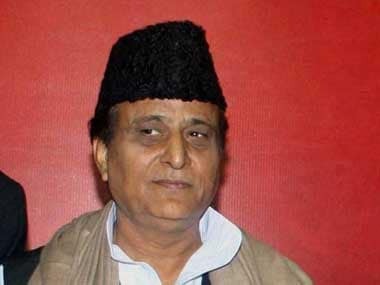 But a section in the Samajwadi Party seemed to believe that he might join Mulayam’s forces sooner rather than later. And don’t be surprised if he is made a minister in the Akhilesh Yadav cabinet this very month. If this happens, the father and the son duo in Lucknow would be seen as swimming together in perfect harmony for a change. 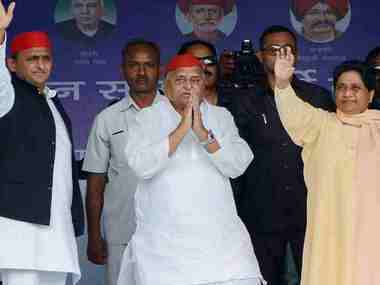 1Uttar Pradesh polls 2017: Is Akhilesh Yadav or Mulayam Singh running the show?